Metastasis, the spread of cancer cells from the primary tumor to secondary locations within the body, is linked to approximately 90% of cancer deaths1. Penetration through the basement membrane is a critical step during the metastatic process, and has been linked to the formation of membrane superstructures called invadopodia2. While being made of multiple substances, a notable component are matrix metalloproteinases (MMPs), and specifically Membrane-type 1 MMP (MT1-MMP), otherwise known as matrix metalloproteinase 14 (MMP-14). This enzyme is crucial for basement membrane and interstitial matrix degradation3, and has been shown to play a critical role in conferring cells with the ability to penetrate the extracellular matrix (ECM)4. Mounting preclinical evidence linking MMPs to cancer progression5, combined with the issue of overlapping substrate specificity of MMP family members, has made the development of targeted MMP inhibitors an attractive approach to cancer therapy. Therefore, methods to selectively measure MMP-14 activity, specifically within invadopodia, in a sensitive yet easy to perform process, are necessary. Similarly, appropriate in vitro cell models have been unable to accurately assess the ability of novel therapies to inhibit tumor invasion, including invadopodia formation. Tumors in vivo exist as a three-dimensional (3D) mass of multiple cell types, including cancer and stromal cells6. 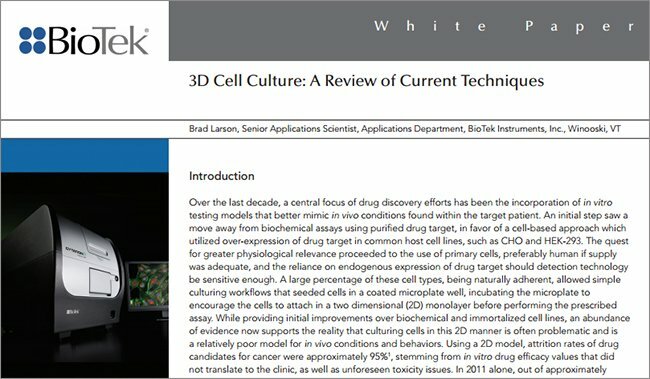 Therefore, incorporating a 3D spheroidtype cellular structure that includes co-cultured cell types forming a tumoroid, provides a more predictive model than the use of individual cancer cells cultured on the bottom of a well in traditional two-dimensional (2D) format. Here we demonstrate the ability to image and quantify MMP-14 activity, in addition to tumor invasion, using a 3D tumoroid cell model. 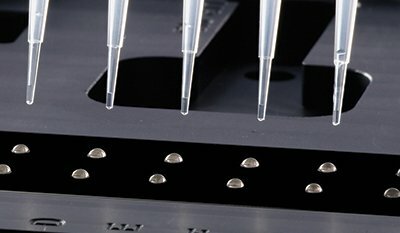 Enzium’s protease activity detection technology was incorporated into the invasion assay procedure to enable simultaneous phenotypic and mechanism of action quantification. The tumoroids comprised primary human dermal fibroblasts and MDAMB- 231 breast adenocarcinoma cells, known to be invasive and metastasize to lung from primary mammary fat pad tumors7. 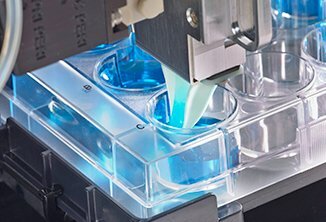 The cells were aggregated into 3D structures using Corning Spheroid Microplates containing an Ultra Low Attachment surface. 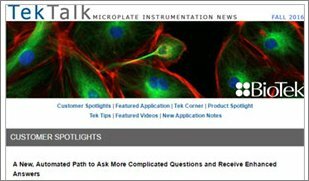 A novel cell imaging multimode reader and cellular analysis algorithms from BioTek Instruments, Inc. were incorporated to provide automated, image-based detection and quantification of invasion and enzyme activity. The combination presents an accurate, easy-to-use method to assess target-based and phenotypic effects of new anti-metastatic drugs. 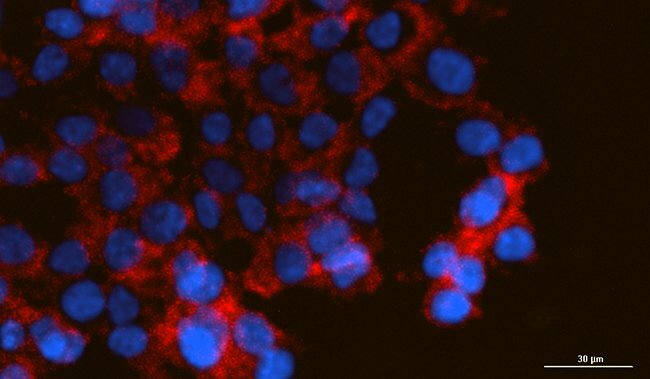 MDA-MB-231 GFP cells (Catalog No. AKR-211) were purchased from Cell Biolabs, Inc. (San Diego, CA, USA). Human neonatal dermal fibroblasts (Catalog No. cAP-0008RFP) were purchased from Angio-Proteomie (Boston, MA, USA). Both cell types were propagated in Advanced DMEM Medium (Catalog No. 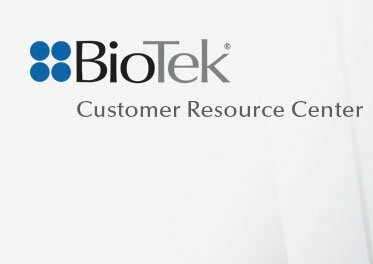 12491-015) plus Fetal Bovine Serum (FBS), 10% (Catalog No. 10437-028) and Pen-Strep-Glutamine, 1x (Catalog No. 10378-016) each from Life Technologies (Carlsbad, CA, USA). 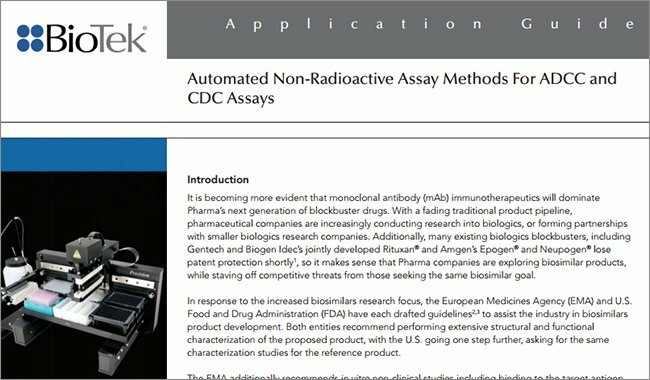 EnSens® MMP-14 Activity Detection Kit (Catalog No. 032014_03), MMP-2 Activity Detection Kit (Catalog No. 032014_01), and NoPro Substrate were donated by Enzium® (Philadelphia, PA). The EnSens MMP-14 and MMP-2 substrates are each selective for their cognate proteases. Recombinant Human CXCL12/SDF-1 alpha (Catalog No. 350-NS-010) was purchased from R&D Systems (Minneapolis, MN). DMEM/F12, HEPES, No Phenol Red Medium (Catalog No. 11039-021) was purchased from Life Technologies. Matrigel Basement Membrane Matrix, Phenol Red-Free (Catalog No. 356237) was purchased from Corning Life Sciences (Corning, NY). GM 6001 (Catalog No. 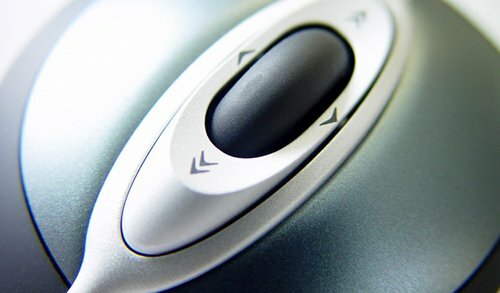 2983) was purchased from R&D Systems (Minneapolis, MN). Oridonin (Catalog No. 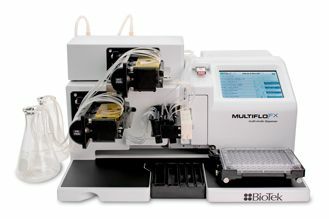 O9639) was purchased from Sigma Aldrich (Saint Louis, MO). 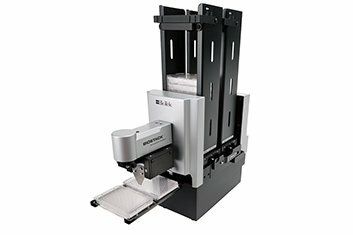 Cytation 5 is a modular multi-mode microplate reader that combines automated digital microscopy and microplate detection. 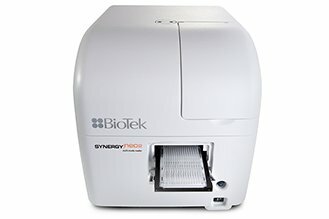 Cytation 5 includes filter- and monochromator-based microplate reading; the microscopy module provides high resolution microscopy in fluorescence, brightfield, color brightfield and phase contrast. 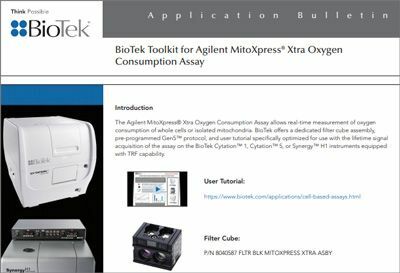 With special emphasis on live-cell kinetic assays, Cytation 5 features temperature control to 65 °C (37 ± 0.2 °C), CO2/O2 gas control and dual injectors for kinetic assays. 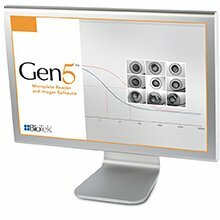 Shaking and Gen5™ software are also standard. The instrument was used to image the tumoroids as well as the specific signal from the EnSens red fluorescent dye using the brightfield and Cy5 imaging channels, respectively. 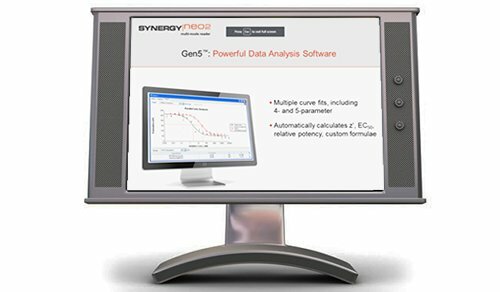 Gen5 software controls the operation of the Cytation 5 for both automated digital microscopy and PMT-based microplate reading. Image acquisition is completely automated from sample translation, focusing and exposure control. 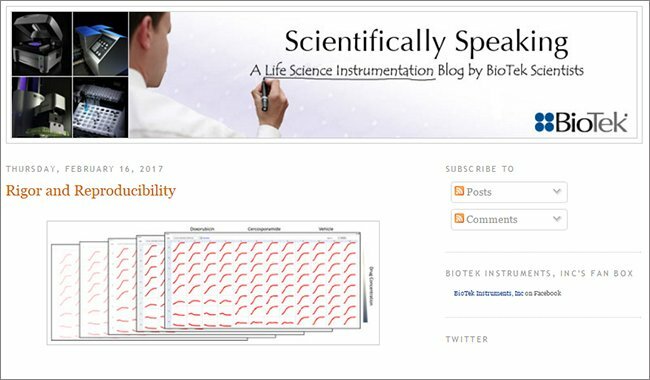 Cellular analysis allows examination of the tumoroid as a single object to enable accurate calculations of changes in tumoroid size and signal. Figure 1. 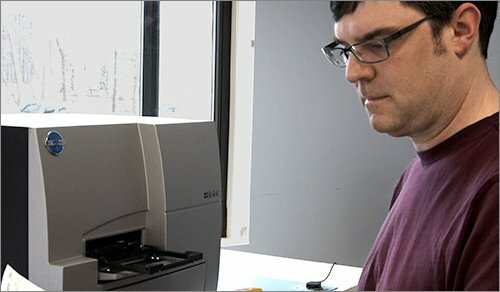 EnSens® Protease Activity Detection Assay Procedure. 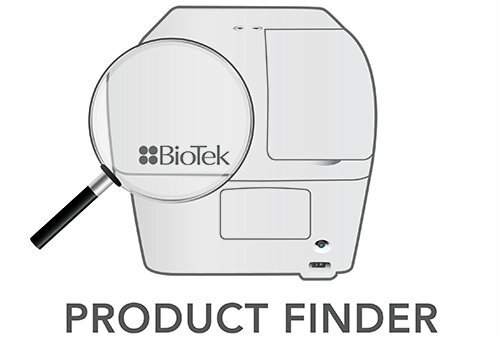 The EnSens protease detection technology is based on a proprietary protein substrate that can be designed to contain a selective recognition sequence for a specific protease, in addition to a far-red shifted fluorogenic dye. 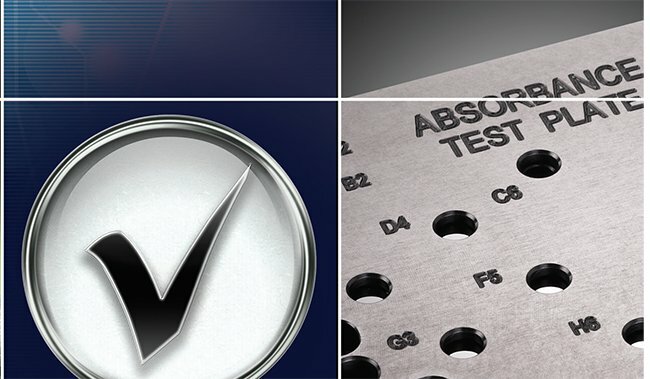 The assay procedure works in the following manner. 1. The horseshoe shaped protein substrate and dye are added to the well; 2. In the presence of the appropriate protease, the substrate is cleaved, exposing the dye binding site; 3. Upon binding, a far-red shifted signal is created. Therefore, little to no fluorescence is seen unless the substrate is in the presence of the correct protease. 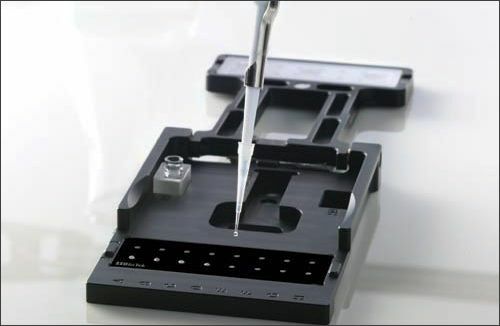 Corning 96-well black, clear-bottom spheroid microplates (Catalog No. 4520) are coated with the Ultra Low Attachment surface which is a non-cytotoxic, and biologically inert covalently bonded hydrogel that prevents cell attachment. Novel well geometry aids spheroid formation in the center of each well. 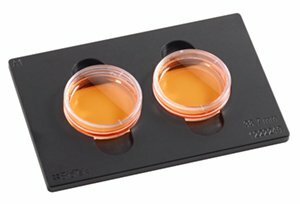 Each microplate contains an optically clear round bottom, which is ideal for cellular imaging, as well as a black, opaque body which prevents cross talk. MDA-MB-231 and fibroblast cells were harvested and diluted to a concentration of 5.0x104 cells/mL in complete medium. The two volumes were combined to create final concentrations of 2.5x104 cells/mL for each cell type. 100 μL of cell suspension was then pipetted to the appropriate wells. Following dispensing, the plate was placed at 37 °C/5% CO2. Spheroid formation was monitored every 24 hours. The plate was placed into the Cytation 5, previously set to 37 °C/5% CO2 using Gen5 as well as a gas control module. 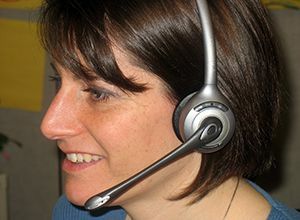 Focusing was performed using the brightfield channel. The typical cell aggregation period was 48 hours. Upon spheroid formation completion, 70 μL of complete medium was removed from each well, washed with an equal volume of invasion medium (serum-free, phenol red-free medium), and the spheroid plate placed on ice in a refrigerator for 5 minutes to cool the wells. Corning® Matrigel® Matrix, Phenol Red-Free was then thawed on ice. CXCL12 ligand was diluted to a concentration of 20 ng/mL in invasion medium. Upon thawing, MMP-14 substrate and dye were each added to the matrix to a concentration of 50 nM. Medium containing 20 ng/mL CXCL12 was then diluted 1:2 in either invasion medium or matrix containing substrate and dye. If an inhibition experiment was being performed, each inhibitor was then titrated to 1x concentrations in both diluted invasion medium containing 10 ng/mL CXCL12, and matrix containing 10 ng/mL CXCL12, substrate, and dye. With the plate still on ice, 70 μL of invasion medium with CXCL12 (or CXCL12 and inhibitor) was added to each well. A 100 μL volume of matrix/substrate/dye, previously prepared, was then added as an overlay to each well. The plate was centrifuged at 300 x g for 5 minutes in a swinging bucket centrifuge that had been previously set to 4 °C for spheroid positioning, and then transferred to a 37 °C/5% CO2 incubator for one hour to promote gel formation. 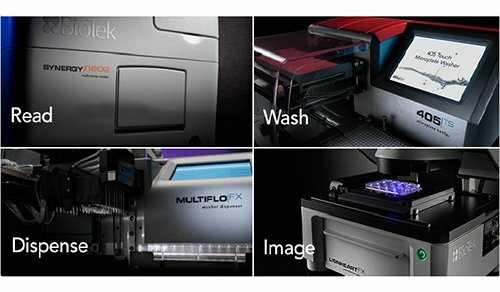 Using a 10x objective, and an Imaging step programmed to capture a 3x3 set of images from each well, exposure settings were optimized for the brightfield and Cy5 (for MMP-14 protease activity monitoring) imaging channels. Following the optimization process, automated day 0 imaging was performed, and continued every 24 hours pursuant, to track tumor invasion. 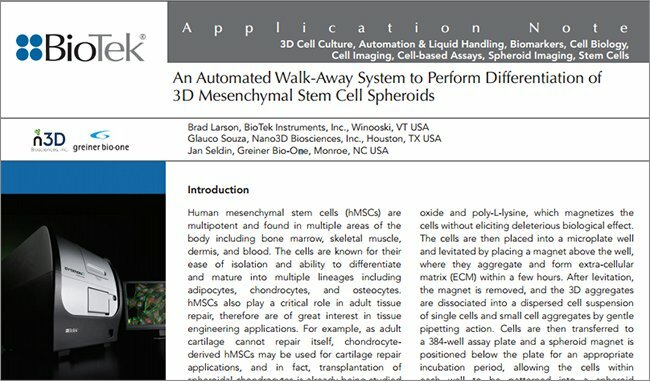 Cellular analysis was performed with the captured 10x images. Multiple methods were employed using either brightfield or Cy5 imaging channels, which allowed the Gen5 software to examine changes in total invading tumoroid structure, as well as MMP-14 activity. An initial experiment was performed to test the ability of the assay components to work properly within the context of the 3D tumor invasion model. The MMP-14 substrate was selected for inclusion, as this particular MMP has been shown to play a critical role in conferring cells with the ability to penetrate the extracellular matrix, and is directly linked to tumorigenesis and metastasis. Because MMP-14 is active in invadopodia, as invasion proceeds the protease will come into contact with the embedded EnSens MMP-14 substrate, allowing for cleavage to occur, binding of the dye to take place, and an increase in fluorescent signal to be observed in these areas of the well. Figure 2. Image-based Monitoring of MMP-14 Activity in 3D Tumor Invasion Assay. Final stitched images from 3x3 image montages using Cy5 channel and 10x objective. Images were captured over a six day incubation period following initiation of the invasion process by cytokine CXCL12 (Figure 2). A 10x objective was incorporated to allow signal capture from the dye with greater sensitivity than would have otherwise been achieved using lower magnification. However, since the invading tumoroid covers a large area of the well, multiple images were needed to capture the entire structure. This was accomplished by performing a montage imaging step and then automatically stitching the final picture together using Gen5™. The images that were captured over the incubation period (Figure 2) are as expected. Minimal signal from the dye is initially seen, which increases dramatically over time as invasion proceeds and the MMP-14 protease is able to cleave greater numbers of substrate molecules. As previously mentioned, matrix metalloproteinases, such as MMP-14, have been shown to be active in the invadopodia portions of the tumoroid structure. Therefore, a comparison of the Cy5 dye signal, to that of the complete structure as observed through the brightfield channel, was performed. Figure 3. Visual Confirmation of MMP-14 Activity in Invadopodia. (A.) Overlay of 10x image montages from brightfield and Cy5 channels of signal emanating from entire invading structure. (B.) 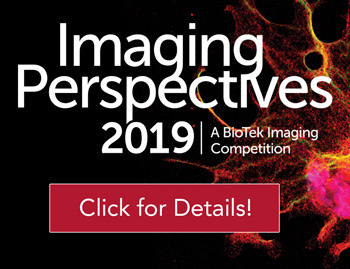 and (C.) Additional magnification of 10x images focusing on invadopodia tumoroid structures and their MMP-14 activity. The overlaid Cy5 and brightfield images seen in Figure 3A demonstrate that MMP-14 activity can be observed in all portions of the tumoroid. Furthermore, when focusing solely on the areas invading furthest into the matrix (Figure 3B and C), the increased Cy5 signal emanating from the structures identified using the brightfield channel confirms that the protease is active within the invadopodia. 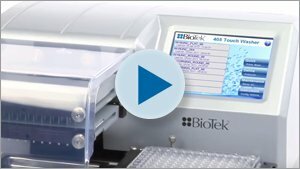 Cellular analysis can also be performed with the Cytation 5 using the Cy5 signal from the dye to quantify and correlate the extent of invasion and MMP-14 activity. Minimum and maximum object sizes, as well as Cy5 RFU (relative fluorescent units) threshold values are set such that a precise object mask is automatically drawn around each tumoroid in its entirety (Figure 4A and B). The same criteria are used for all images evaluated during the experiment. This allows for a quantitative comparison of the area covered and total Cy5 signal within each object mask to be completed. Figure 4. Quantification of MMP-14 Activity. Images of Gen5 object masks drawn around Cy5 signal meeting minimum and maximum object size and RFU threshold cellular analysis criteria after a (A.) 0 and (B.) 6 day incubation. Graphs generated using (C.) area and (D.) Cy5 signal intensity within object masks. Raw μm2 and RFU values plotted on left y-axis. Ratio of values on day X compared to day 0 plotted on right y-axis. (E.) Area of invading tumoroid structure quantified using brightfield and Cy5 signals. The results from Figure 4C and D illustrate how the area covered by the Cy5 RFU values meeting or exceeding the set threshold increases over the total incubation period. The same trend can be seen when examining the total Cy5 signal within the object masks drawn by Gen5. When comparing the area covered within object masks drawn using the brightfield and Cy5 signal (Figure 4E), it can be observed that similar values are generated throughout the entire incubation period. This further validates that MMP-14 activity can be detected in the center mass, as well as invadopodia of the tumoroid. Following confirmation that the EnSens assay components were performing correctly within the invasion matrix, and signal was observed in the expected areas of the structure, the next step was to verify that cleavage of the substrate was indeed from MMP activity and not from being in the presence of the components of the Matrigel matrix. Here we used the broad spectrum MMP inhibitor, GM 6001. A titration of the inhibitor, ranging from 0 - 1000 μM, was added to the medium and matrix surrounding the original tumoroids as previously explained, and invasion was allowed to proceed for six days. Figure 5. Demonstration of MMP Activity Detection via Inhibition. (A.) Stitched 10x images of Cy5 fluorescent signal from wells containing various concentrations of GM 6001, following a six day incubation period. Identical exposure settings used to image all wells. (B.) Quantification of area and Cy5 signal intensity within Gen5 drawn object masks. A decrease in Cy5 signal emission is observed from the dye as the tumoroid is exposed to increasing concentrations of GM 6001 (Figure 5A). This phenomenon confirms that signal generation is caused by cleavage of the substrate due to MMP activity, and not from non-specific cleavage brought about by a component of the Matrigel matrix. Quantification performed, once again utilizing the area covered and Cy5 signal within Gen5 drawn object masks (Figure 5B), also confirms that inhibiting MMP activity causes a decrease in tumor invasion into the matrix as well as MMP-14 protease activity signal generated from the included substrate and dye. The signal is never completely eliminated, as the original tumoroid is never completely destroyed, which is similar to what has been observed in vivo, and is most likely due to the fact that the inhibitor does not completely penetrate the tumoroid. A final test was then performed to confirm that cleavage of the added substrate and subsequent signal generation could be linked to the target MMP. Here we incorporated selective substrates for MMP-14 and MMP-2, as well as the NoPro substrate, which is cleaved by a yeast protease not expressed in mammalian cells, making it an ideal negative control substrate. 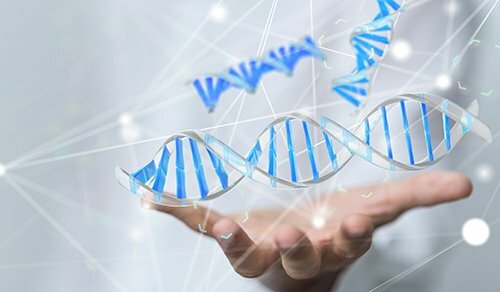 Two different types of inhibitors were tested: the broad range MMP inhibitor GM 6001 and oridonin, which suppresses MMP-2 and -9 expression in MDA-MB-231 cells8. Tumoroids were exposed to multiple concentrations of each inhibitor for a period of five days. Figure 6. Demonstration of Selective MMP Activity Detection via Inhibition. Total Cy5 signal quantified within object masks following image capture of tumoroids treated for five days with (A.) GM 6001 or (B.) oridonin. MMP-14, -2, or NoPro negative control substrates were added to invasion matrix. When the results for GM 6001 are examined (Figure 6A), it can be seen that the compound inhibits substrate cleavage and subsequent signal production in a dose dependent manner when both the MMP-2 or MMP-14 substrates are incorporated, again proving its pan-MMP inhibitory effect. The data from the test using oridonin, by comparison, displays two disparate outcomes (Figure 6B). Again, Cy5 signal is inhibited in a dose dependent manner in the presence of the MMP-2 substrate. However, when the MMP-14 substrate is incorporated, no discernible inhibition is seen until the highest oridonin concentration (31.25 μM) is reached. By examining images captured from the well containing this concentration, the loss in signal was determined to be from a cytotoxic effect from the compound, rather than due to true inhibition, which agrees with published literature stating that oridonin exhibits an apoptotic effect on MDA-MB-231 breast cancer cells8. Finally, only low levels of signal are generated when the NoPro substrate is incubated in the presence or absence of each compound, indicating that the substrate is not cleaved in an appreciable manner and further validating the selectivity of the included substrates. A further analysis of the results from each well was also carried out to ensure that the reduction in captured Cy5 signal was the result of an actual decrease in total signal from well, and not solely due to a contraction in the object mask. Image analysis was performed by the Gen5 software which allows the signal to be quantified from each pixel in the image through the elimination of the generated mask. Figure 7. Total Cy5 Signal Inhibition. Total fluorescent signal from stitched 10x images following siz day incubation with varying concentrations of (A.) GM 6001 or (B.) oridonin. Similar to the results illustrated in Figure 6, the same decrease in signal is exhibited with increasing GM 6001 concentrations in the presence of both the MMP-14 and MMP-2 substate (Figure 7A). However, the dose dependent decrease with the addition of oridonin is only seen in the results from the MMP-2 substrate (Figure 7B). 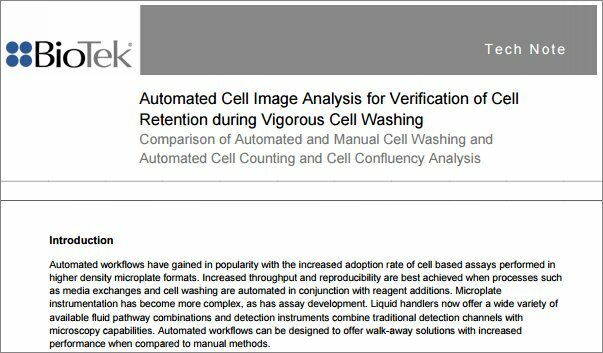 These findings agree with the findings reported above, and confirm that accurate, reliable data can be generated when cellular analysis algorithms are incorporated. 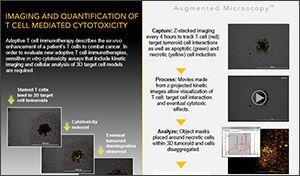 3D tumor invasion assays are an important addition in the quest to accurately quantify the invasive characteristics of cancer cells and their response to test molecules. 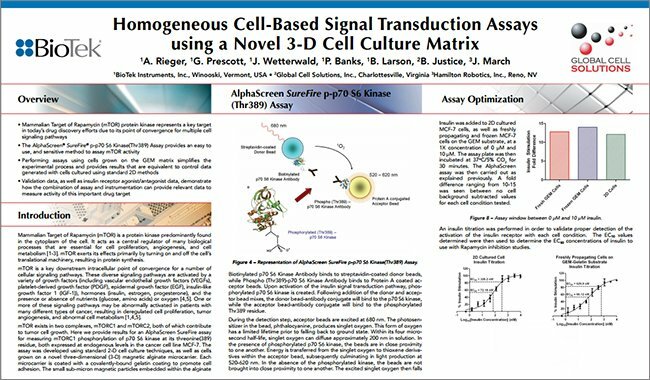 Being able to perform simple, definitive assessments of MMP activity and potential inhibition increases the value of the assay procedure by allowing live cell mechanism of action determinations to be made in the same well. Monitoring the invasion process and signal generation following cleavage of the selective MMP substrate can be completed in an automated fashion via imaging using the Cytation 5. Finally, Gen5 Data Analysis Software allows accurate quantification of invasion, in addition to MMP activity, in both the original tumoroid and invadopodia. The combination presents a complete solution to assess target-based and phenotypic effects of new anti-metastatic drugs. Saxe, Charles. 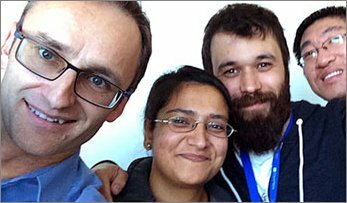 ‘Unlocking The Mysteries Of Metastasis’. 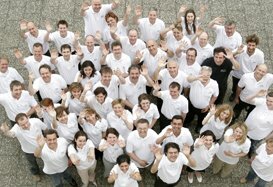 ExpertVoices 2013. http://www.cancer.org/ cancer/news/expertvoices/post/2013/01/23/unlockingthe- mysteries-of-metastasis.aspx. Accessed 16 Mar. 2015. Eckert, MA., Lwin, TM., Chang, AT., Kim, J., Danis, E., Ohno-Machaso, L., Seiki, M. Twist1-induced invadopodia formation promotes tumor metastasis. Cancer Cell. 2011, 19, 372-386. Frittoli, E., Palamidessi, A., Disanza, A., Scita, G. Secretory and endo/exocytic trafficking in invadopodia formation: The MT1-MMP paradigm. Eur. J. Cell Biol. 2010, 90, 108-114. Itoh, Y., Seiki, M. MT1-MMP: a potent modifier of pericellular microenvironment. J Cell Physiol. 2006, 206, 1-8. Itoh, Y., Nagase, H. Matrix metalloproteinases in cancer. Essays Biochem. 2002, 38, 21-36. Mao, Y., Keller, E., Garfield, D., Shen, K., Wang, J. Stromal cells in tumor microenvironment and breast cancer. Cancer and Metastasis Reviews. 2013, 32, 303- 315. Kamath, L., Meydani, A., Foss, F., Kuliopulos, A. Signaling from protease-activated receptor-1 inhibits migration and invasion of breast cancer cells. Cancer Res. 2001, 61, 5933-5940. Wang, S., Zhong, Z, Wan, J, Tan, W., Wu, G., Chen, M., Wang, Y. Oridonin induces apoptosis, inhibits migration and invasion on highly-metastatic human breast cancer cells. Am J Chin Med. 2013, 41, 177-196.